Instead of someone unreliable like Kerry Katatonia, Poundland have taken the safer bet of employing the services of HAL from 2001 to endorse their shop today. Good old Ms Handley who lives in the Meadowhall shopping centre. 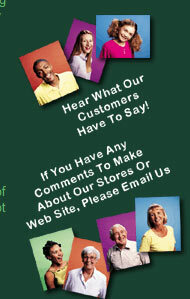 It’s nice of Poundland to take a professional portrait of her to the high standards of a stock photography site. Although, I guess, a pound was worth more then. I’m not saying they made the testimonials up or anything (read this sarcastically or not sarcastically as you wish). 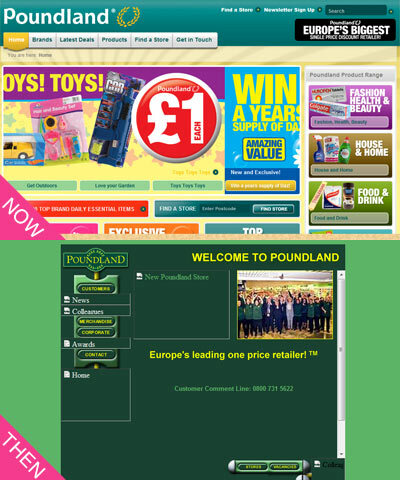 Sadly, the old Poundland site never listed what you used to be able to get for a pound to contrast with what you get nowadays, as I’d be interested to see if every year the concept becomes less viable or if the quality of products for sale has to be lowered to make up for inflation. This entry was posted on April 15, 2010 at 9:09 pm	and is filed under Poundland. You can follow any responses to this entry through the RSS 2.0 feed. You can leave a response, or trackback from your own site. 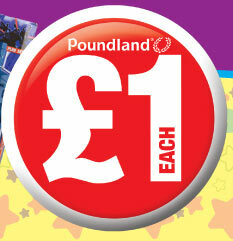 The owner of Poundland has openly stated that when times are tough, the products get smaller. Colgate, for instance, manufacture much smaller tubes of their toothpaste for the pound shop stores, and decrease the volume when prices hike elsewhere.